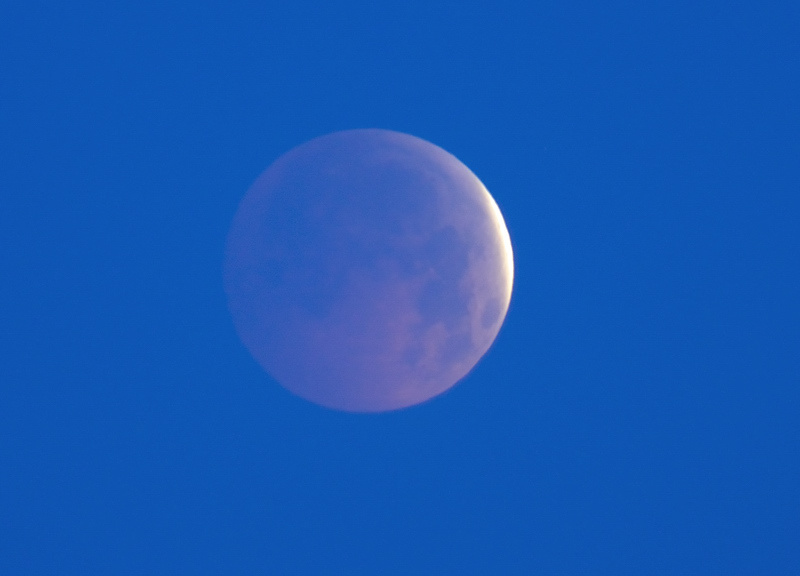 I took these shots of the lunar eclipse this morning just outside Truro, away from the street light glare. 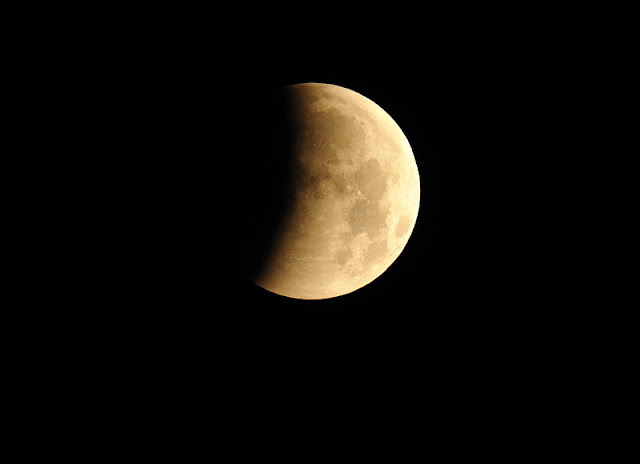 During a lunar eclipse the earth, sun and moon are almost exactly in line with each other. As they line up, the earth’s shadow passes across the surface of the full moon. 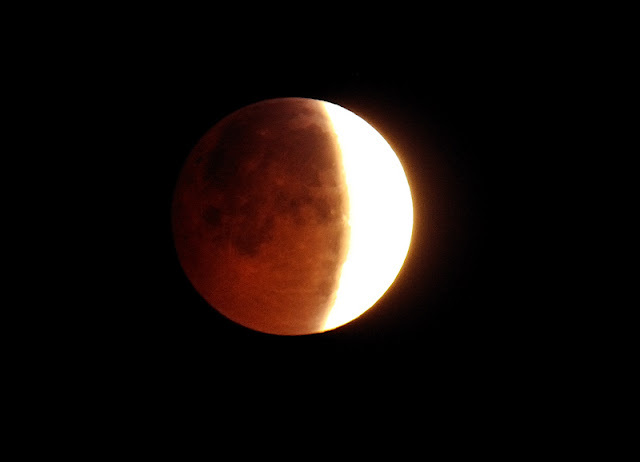 At first, the shadow appears as a tiny bite on one side of the moon, (shown in the first shot), before it engulfs the moon entirely (final image). Once the moon has moved into the shadow it is lit by sunlight that passes through the earth’s atmosphere. The sunlight that hits the craters and plains of the lunar surface developes a strange reddish tinge, which appears brightest during the middle stages of the eclipse. The process sarted in complete darkness and ended about an hour later in the freezing early mornig sunlight. All in all, quite an experience and the first that I have seen properly in the UK. Of interest, this is the first lunar eclipse since 1638 when an eclipse has occurred on the winter solstice! Nice images. 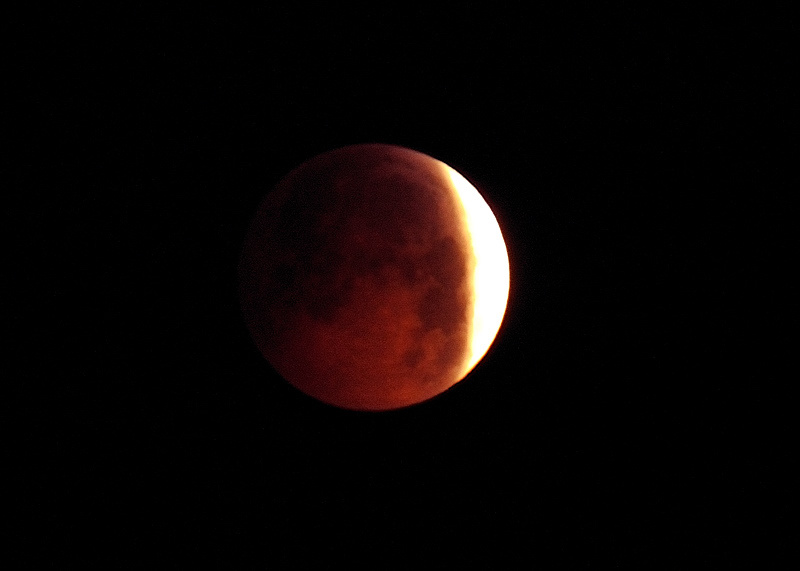 As a sometime amateur astronomer was hoping to get some myself before I got to work, but we were clouded out. Very good record Steve, think I was in bed when it happened! Wonderful blog you have here. Its obvious your talent and ambition has come together with stirring results. My eclipse plans crashed and burned when the low clouds swept through lower Michigan. 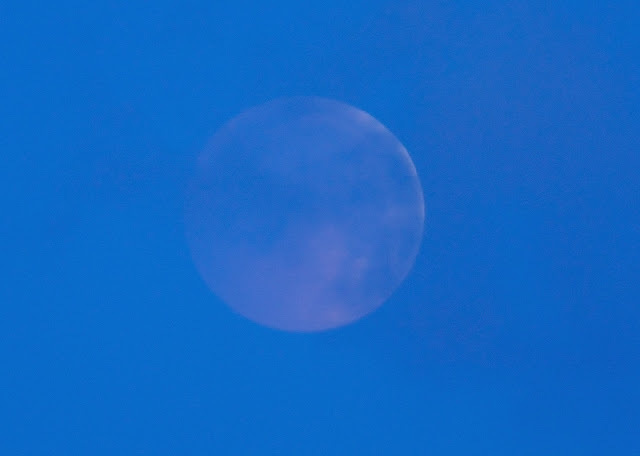 I did get one or two good chances earlier in the night when the moon was rising! Thanks for the comments. Pure luck with the weather. This is the first eclipse I have seen - all of them previously have been clouded out. Springman, I hope you enjoy following my blog. Steve. Merry Christmas and a Happy New Year Steve - be assured that I'm always following and appreciating your blog!